I review a cherry-smoked saison I made a while ago, and wish had turned out just a little more like I expected. May 5, 2018, was the 2018 AHA Big Brew. My local club, the Menomonie Homebrewers’ Club, brewed 3 batches of beer at our local homebrew shop. About 10-15 people stopped by to ask questions about brewing, see parts of the process and ask questions about getting in to the hobby. I made a simple batch with 6.6 pounds of Briess Light Pils Liquid Malt Extract and 1 pound of aromatic malt I allowed to warm along with the water. I added German Opal hops for bittering, Tettnang at 30 minutes and Huell Melon at 15 minutes for a beer with an original gravity of 1.039. 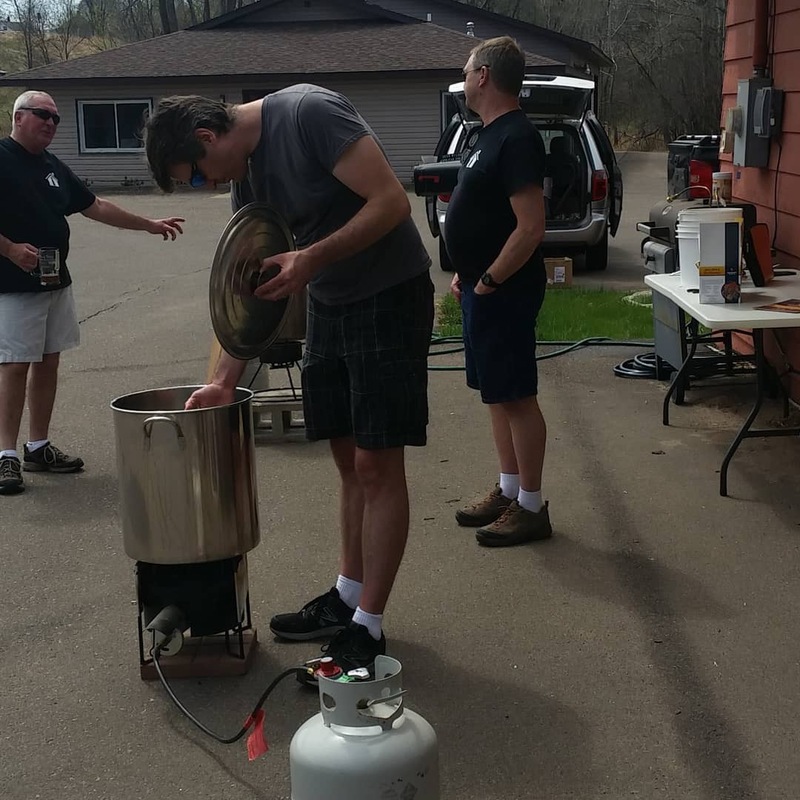 How Can You get in to #Homebrewing? Think about what you want to get out of brewing, in addition to having beer at the end of the process. This can affect decisions about designing your system. What are your space limitations? Most people think about fermenting space, but how much room do you have for equipment and also for beer you are serving? Do you want to bottle or would filling kegs make more sense for you? Keg systems are more expensive than bottles, but have many advantages. Once you think about those items, make sure you join an experienced brewer, if possible. Go through the entire process, not just brew day.